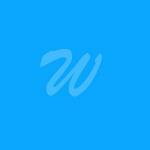 Playgrounds, swing sets, beaches, grills, shelters and more—the City of Worthington Parks system has much to offer you and your family! Take a family picnic at one of the many parks with shelters, enjoy some time at one of the beaches on Lake Okabena, take in a city band concert on a summer evening, or turn the kids loose on the recently updated playground equipment. 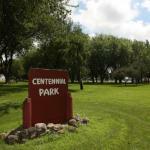 As many of the parks are located on the lake, a drive around Lake Okabena showcases ten of the more than twenty city parks that Worthington has to offer. But the parks don't stop there! 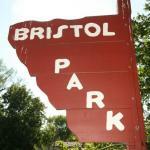 In almost any Worthington neighborhood, a park is a short walk or bike ride away. 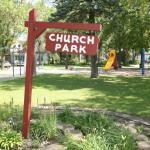 All of Worthington's city parks are operated by the City of Worthington Public Works department. 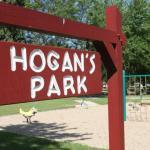 If you have any further questions about any of the city parks, you may contact us by calling (507) 372-8601. 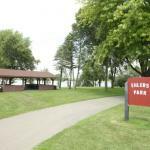 Many of our area parks have shelters available for public use. "Roof only" shelters are available on a first-come, first-served basis. 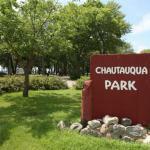 Centennial and Chautauqua parks boast enclosed shelters with available water and electricity. 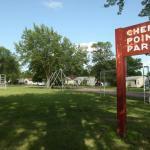 Olson Park is Worthington's premier campground with reservations available January 2nd through September 15th. Click here to view the campground profile for details, photos, a map of campsites and rates. 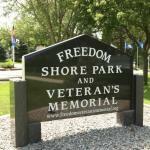 To reserve a campsite, please call (507) 329-0760.